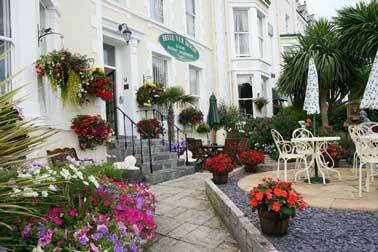 Self Catering Holiday Apartments in Llandudno, Wales! 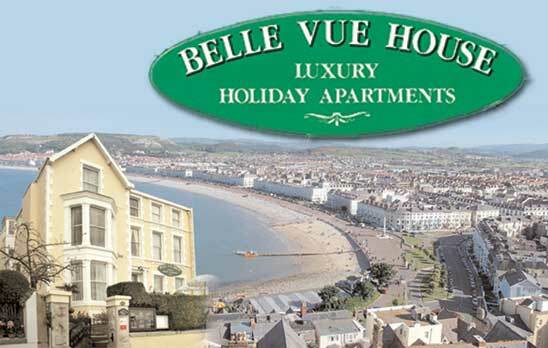 Nestled on the promenade at the foot of the Great Orme, the apartments at Belle Vue House are ideally situated for a beautiful holiday. 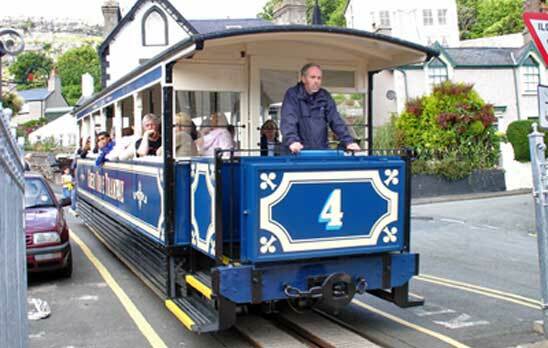 The Pier, beach, Great Orme Tramway, Cabin Lift, Dry Ski Slope and Toboggan Run are all very close by, while the main shopping area is just around the corner. 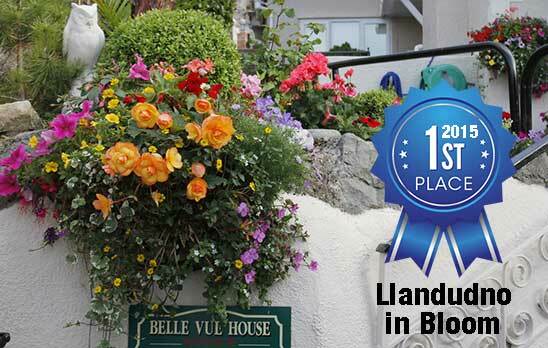 Winner of 'Llandudno in Bloom 2015'! We value what our guests have to say about our holiday accommodation and work hard at improving the facilities year by year to reach the highest of standards..
Belle Vue Holiday Apartmensts has a North Wales Tourist Board 3 & 4 Star Grading! 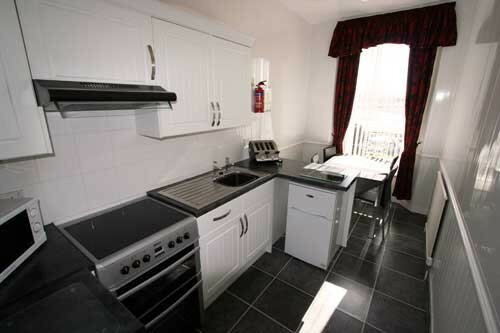 All flats are completely self catering and self-contained. Include Electricity and Central Heating when appropriate. All kitchens are fully equipped with microwave, refrigerator, full-size cooker and include a dining area. 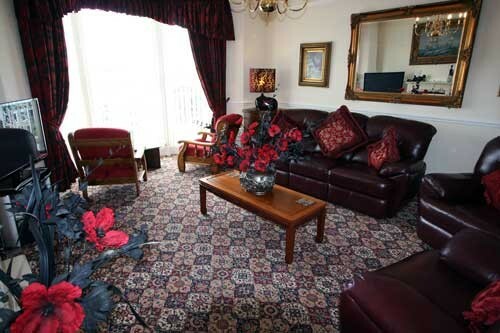 All apartments have a Colour TV with text & digital freeview. 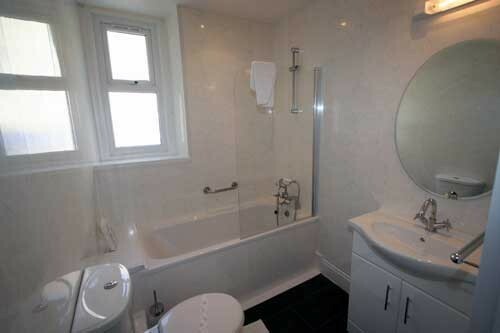 All apartments have either private bath or shower and toilet. 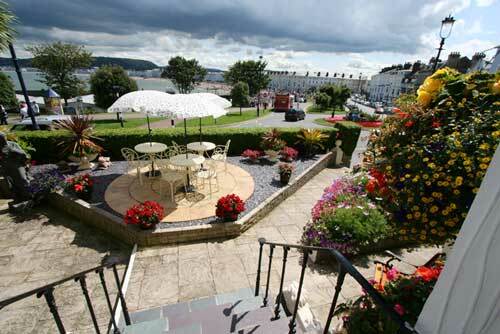 Belle Vue house benefits from a beautiful sun terrace, garden, seating area as well as stunning sea views. Extra bed "Z-Bed" available @ £25 p.w.